Faculty engage students in lively discussions every day. Downtown Brooklyn — the birthplace of Brooklyn College. Where education is a joy. The School of Humanities and Social Sciences (SHSS), sitting at the heart of a great urban college, educates students to be leaders of character, wisdom, and influence in an interdependent, global society through high quality humanities and social science programs. An SHSS education is not bound by our classrooms, because Brooklyn is a diverse educational laboratory, that enables our students to regularly apply their learning to real world challenges, bringing what they learn by experience into sharper focus in our classrooms. When you take classes in any of our 45 departments or programs you will work with world-class faculty who know that a humanities and social science education is important preparation for a changing world and a shifting economy. Therefore, SHSS students are intellectually ambitious and adaptable to change. Our students build critical thinking and analytical skills and the capacity to articulate evidence-based decisions that will be required of the jobs emerging in the 21st century. The work we do manifests what Michael S. Roth has written in Beyond the University: Why Liberal Education Matters: "[a] reflexive, pragmatic liberal education is our best hope of preparing students to shape change and not be the victims of it." The School of Humanities and Social Sciences (HSS) is the intellectual hub of Brooklyn College. HSS empowers interdisciplinary team-based problem solving, rooted in rigorous disciplinary training. We foster collaborative engagement among faculty, students, and communities, in the co-creation of knowledge. Our students build skills in critical thinking, creative expression, data analysis, and the capacity to articulate evidence-based decisions. HSS prepares students to be adaptive and resilient in a rapidly changing global economy, and to be effective publicly engaged citizens in a rapidly changing society. 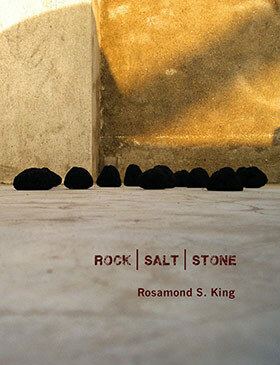 Associate Professor Rosamond King (English) is the recipient of the 2018 Lambda Literary Award for Lesbian Poetry for her book Rock|Salt|Stone. King is a poet, critical writer, artist, and performer. She teaches courses in Caribbean and African literature, creative writing, sexuality, performance, and immigrant literature. The author Anton Nimblett has said of King and this new collection of poetry, "To engage with the woman—with this richly-layered poetry collection—is to embark on an expansive, penetrating ride, tempered with sharp wit." The Lambda Literary Awards were first established in 1989, and recipients have included Michael Cunningham, Alison Bechdel, and David Sedaris. Learn more about King, her poetry and the intersection of her art and writing in this recent interview with Jen Bervin. King is also the director of the Ethyle R. Wolfe Institute for the Humanities.